The lion’s share of power in lower Mekong basin countries currently comes from gas and large-scale hydropower. Only a small fraction – around 5% – is supplied by other renewables such as wind, solar, biogas and smaller-scale hydropower. But this modest beginning will form the basis for exponential growth. Current power development plans in the basin envisage five-fold renewable electricity generation grow from an estimated 3.5GW in 2010 to 15.5GW or 9% by 2025. Large-scale hydropower is also set to double from 18.2GW to 36GW. Unlike renewables, the rapid expansion of hydropower represents a range of serious risks to river basin ecology and the livelihoods of people in the basin. ICEM’s John Sawdon examined whether renewables have the potential to substitute or complement the rapid rollout of large-scale hydropower in the Mekong. John explained why alternative renewable sources cannot simply substitute large-scale hydropower. Current technologies, centralised grid structures, lower voltages, intermittency issues and high relative costs constrain renewables’ potential to displace large-scale hydropower and fossil fuels. At the same time, the flexibility and rapid dispatchability of hydropower means it will be an important complement to renewable energy in a grid-based system. Our research shows that hydropower is likely to remain important for grid baseload. And if renewables reach higher renewables penetration rates (for example, up to 10 – 30%), intermittency is likely to become a more significant issue. The ancillary services provided by hydropower and its rapid ability to vary output efficiently and in real-time means it can act to smooth the variability of power supply associated with certain types of renewable generation. This points to important complementarities between renewables and large hydropower. But that’s not to say that renewables can’t fill important energy gaps right now. Large-scale hydropower is necessarily geared towards supplying a central grid that often stops short of some remote areas. Many communities across the basin rely on diesel generators for electricity or go without. John pointed out that these same communities could still benefit from power provided by smaller, off-grid renewables. Plugging the renewable energy gap – bright prospects for solar PV? 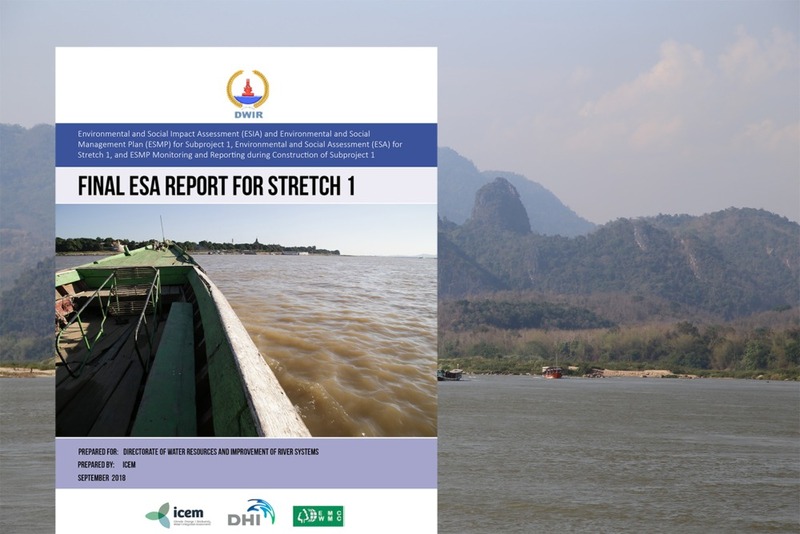 Recent power sector modelling exercises conducted in the region by ICEM suggest more ambitious renewable energy targets in the lower Mekong countries are technically feasible. This leads us to two questions: which renewable technologies hold the greatest potential? And what policies are needed to meet these targets? Timothy Suljada presented on the costs and technical potential of alternative renewable technologies for the region. He explored suitable technologies and explained why the most significant opportunity for expansion lay with solar PV. While biomass, small-scale hydropower are comparable with the price of existing generation sources and wind is approaching this level, Tim noted that their cumulative technical potential was modest. Solar PV, on the other hand, could theoretically provide the region with 76GW of power. However, our analysis showed that without appropriate policy measures or financial incentives, solar PV’s growth would remain stunted due to low end-user tariffs. Alexander Kenny highlighted the need for appropriate fiscal policies and streamlined administrative processes to promote the wider adoption of renewable power, and in particular focused on solar PV. Alexander discussed falling system costs worldwide but explained that PV systems would remain prohibitively expensive without supporting measures such as feed-in tariffs. Timothy also discussed how countries in the lower Mekong could copy the successful Thai model for stimulating renewable technology deployment through attractive feed-in tariff rates. And finally, Nguyen Quoc Khanh’s presentation on the Vietnamese experience with solar PV in the commercial sector highlighted how the technology could complement existing energy generation. Khanh presented case studies showing that solar PV outputs correlate well with daily load curves, particularly where air conditioning loads drive daily peaks. He explained how using solar PV to dampen peak loads could benefit the power sector through reduced investment in peak generating capacity and lower grid transmission and distribution costs. This session at the Mekong Forum highlighted that given the different characteristics of alternative renewable energy technologies and large-scale hydropower, there are significant complementarities between them. Renewables, especially solar PV hold excellent technical potential in the region and, while countries are planning to increase their deployment, fiscal incentives and supporting policy frameworks are required to facilitate their deployment at scale.